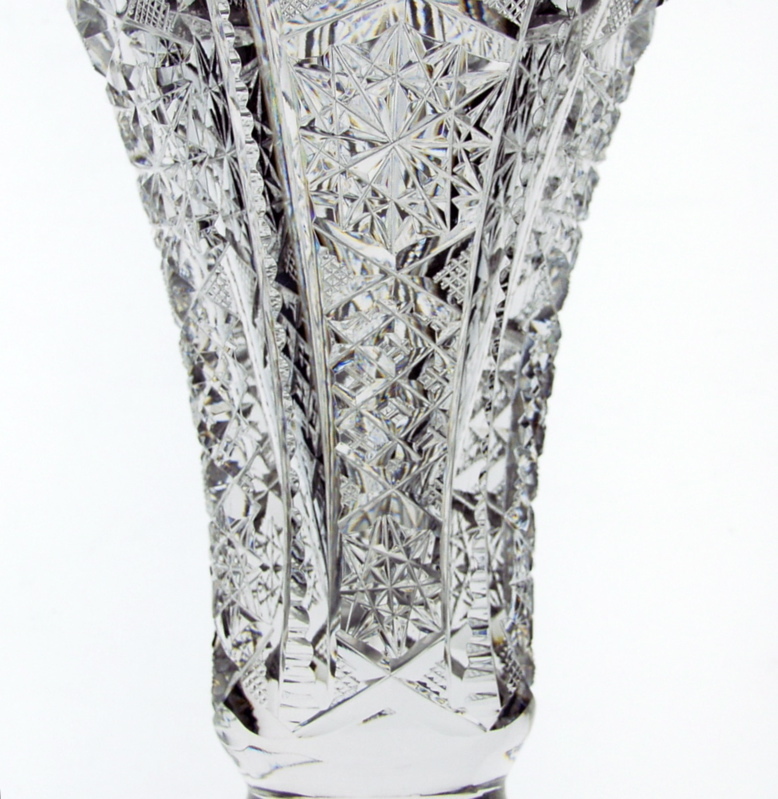 This is a beautiful chalice shaped vase by Kelly and Steinman in their Norway pattern. 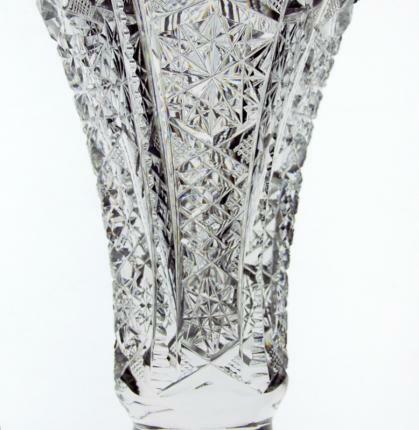 The exact vase is pictured in the American Brilliant Period Cut Glass Advertisements by Rob & Valerie Smith on page KEL-10. This pattern lends itself to this elegant form. 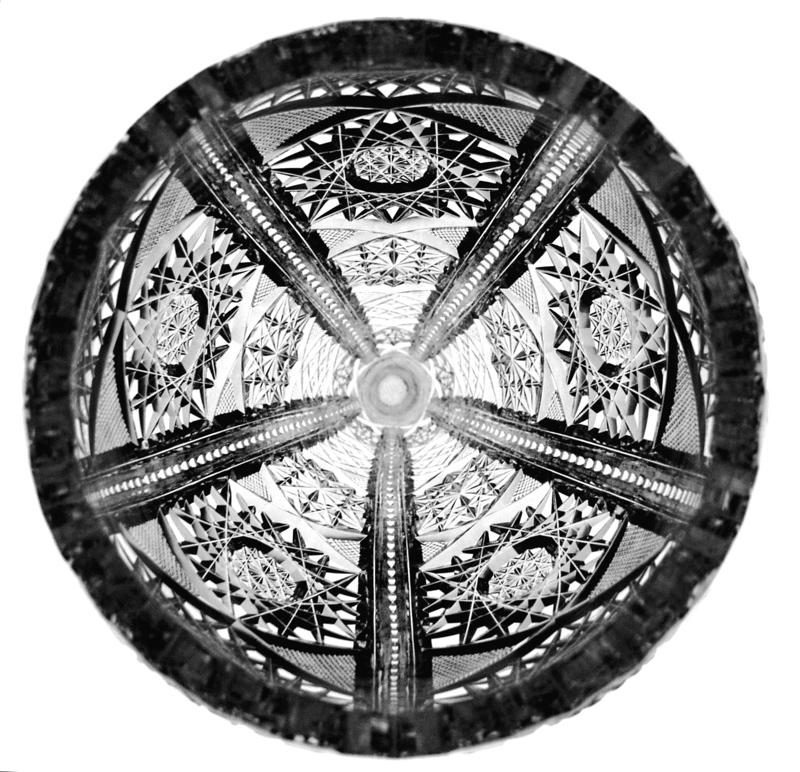 Large descending columns of hobstars decrease in size down the vase. These hobstars meet a field of strawberry-diamond and one additional hobstar. These columns repeat themselves around the entire vase. There is a faceted ball at the base of the vase. 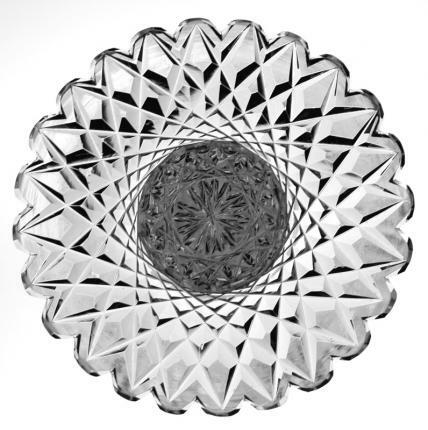 The ball connects to a beautifully scalloped base with a 24-point hobstar. 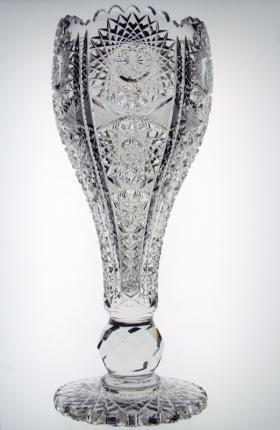 The vase is in excellent condition and measures 12 ¼” tall and 5” wide. An elegant shape for your collection.